In this English lesson for upper-intermediate and advanced learners (B2/C1) you will learn some of the more difficult advanced compound adjectives we use in English. Learning these compound adjectives will improve your fluency in English and help you communicate better. I will go through the adjectives in the order they appear in the video. Make sure you watch the video to practice your English listening comprehension. I like some of his ideas but many are too far-fetched. Political decisions can have far-reaching effects on some parts of the community. Light-hearted means that something is amusing or not serious, like a television series, a movie or a book. His last novel was a light-hearted look at life growing up in paradise. If something is mouth-watering it means that it smells or looks delicious or attractive. They make you mouth water. When I cook, the smells that come out of the kitchen are simply mouth-watering. If some is off-putting it is not attractive. In fact, it may be quite unpleasant. We all know someone who has an off-putting personality. They are nice people, but it takes a while to get used to them. A narrow-minded person is someone that is not open to new ideas. They prefer not to experiment with something new and they are stuck in their ways. And the last advanced compound adjective is the lesson is smooth-talking. This means that someone uses charming language. You will quite often hear this expression used when talking about salespeople. They are able to charm you into buying their products by smooth-talking you. They use flattering language. So that's all in this lesson. If you liked this lesson you may like this one even more. Please consider buying me breakfast if you liked the lesson. You can do that here. 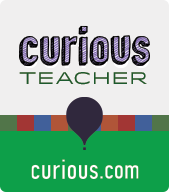 I also have some interactive lessons here at curious.com. Check them out. Leave a comment if you have any doubts.